I want to preface this by saying: I am not mad, just disappointed in the current state of high tier. I love a lot of the ships that are in this tier. However, the gameplay at the moment leaves less than to be desired. 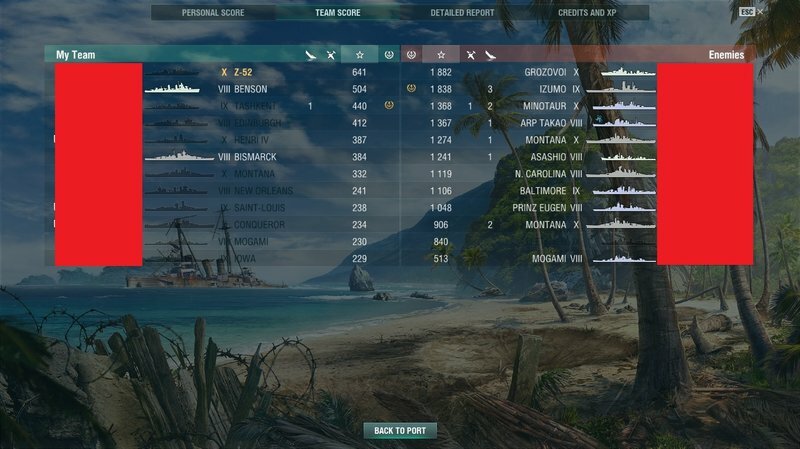 There are two types of high tier matches, ones with cvs and ones without. These matches still tend to end the same way. Both of these matches just snowball into an absolute slaughter, which is not fun for either side. And unfortunately I do not see a good way to fix it. I had a match like the first one last night. I couldn't believe how fast my team melted, since they were all together they should have been able to focus fire better but no coordination. A bad team just means it's easier to be the top XP earner! That's why I refuse to play my t8+ ships. It's simply not fun. You didn't get the updated patch notes? The coastline of the islands located in the North-Eastern corner of the "Tears of the Desert" map is moved beyond the map border. Now, teams that spawn in upper right corner will not have any difficulties in terms of navigation. The "Northern Lights" map regained its aurora borealis! The "North" map has a wider strait between the two large islands in order to make navigation there more comfortable. Wow! This has to be the worst team performance by xp I've seen in random (and the smallest gap between bottom and top earner). Glad I've never been on a time like this. Ah... t'was a wicked tale of disappointment and incompetence. We started on the south side of two brothers! Me, the two scharnhorsts and a few others (I think including at least one other BB, so four out of our five BBs) went for the left side, but it quickly became clear that nearly the entire enemy team was pushing our rapidly disintegrating right flank. I, being a slow and lumbering tier 6 BB turned around to try and defend what was left of our team; realising that I'd never catch anything in a ring-around-the-rosy game, while telling the others to push forward. Unfortunately at that moment our only DD on the left got himself blapped, at which point all the other BBs on the left flank pulled a full halt and adamantly refused to push the single, retreating, half health enemy DD that was holding that cap. They also refused to turn around to engage the enemy right flank which had by now pushed clear into our spawn. The enemy got there so fast they hadn't even bothered to curve around the side of the map; they just pushed directly through the cap and annihilated everything there. It didn't help that their CV beat ours pretty handily as well (I think he may have gotten a clear skies in the first 6 minutes). I got maybe three volleys off total that match before we lost on points (in sum, I think the match lasted about 8 minutes, if that). I recently started playing Hindenberg and Henri IV to practice up for ranked (and managed to get Cruiser Commander III while I was at it) but I generally don't play tier 8+ much for the same reason; It aint as much fun as the mid tiers. You can only do so much. It's harder for me (Ryujo) when I see this. Keep in mind, if I do see this, I will engage head-on no matter the ship. Why? To end the pain but also to "lead" my team. Whether they follow or not, that is up to them. At least when I die, I can leave the battle with no penalties. Look at this match I just had. 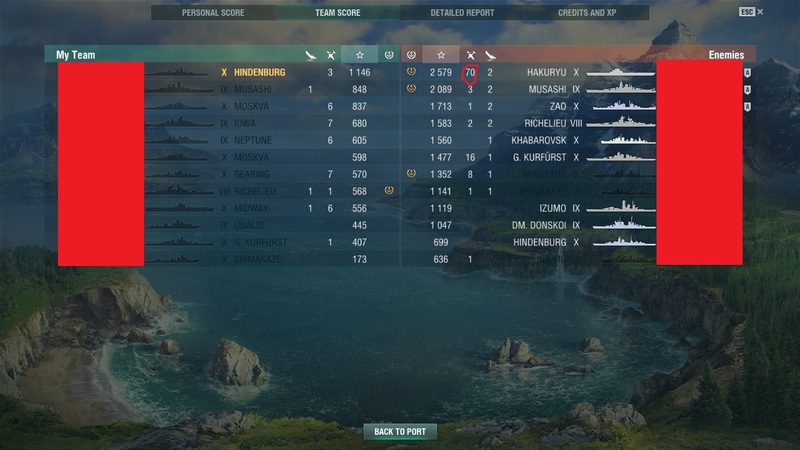 7 minutes and 14 seconds into the game, our entire team (except for Fletcher and my Asashio) are still in the spawn. New strat, save fuel and let the enemy surround you? They are playing defense. In a standard battle, it's not always the worst play. Classic "defend only" strategy in action. How poorly did it turnout? There are a couple of high tier ships I'd love to play but stick to T7 or below. With tons of radar (I play dds) it's not fun and without the permanent camo and/or premium time the sky high operating costs would result in loosing credits in every non-specular game. Defending from an uncovered, open-water position? It’s better to challenge for the islands to get a good defensive position and cover. 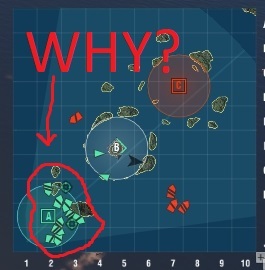 Yea- my thought would be that they should really be even more passive and run south, forcing the enemy ships to leave the island cover while still remaining in range to prevent the enemy team from capping. But still: the position they've taken is bad, but not disastrous. It was a dumpster fire and I logged off before it ended, so not sure how bad we lost, but it wasn't pretty. 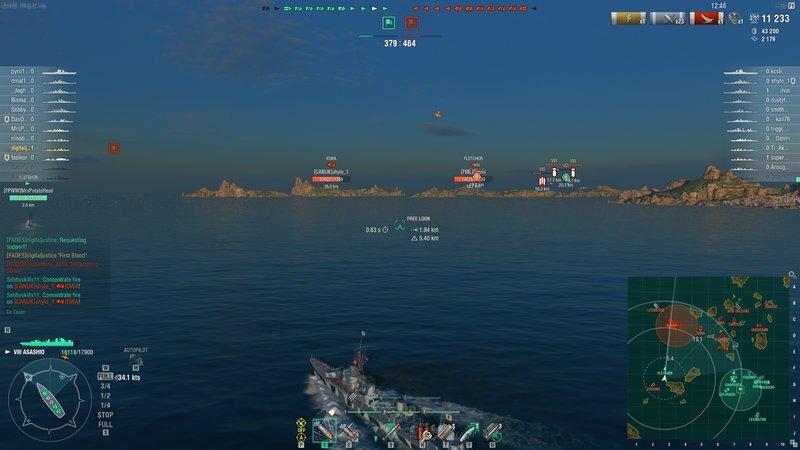 That minimap pic is the most disgusting thing I've ever seen in WoWS. Every one of those people (except the two DDs) should have their accounts banned. All three dds, including me, were attempting to contest B. The rest, well, you see the result. It is for the Asashio. Lots of fun shooting at huddling BB's. I have a 78.26% W/R in 23 battles so far. Shhh! If they start playing smart, I'll have to put away the Asahio. I was in a battle not entirely unlike this recently, when I was in a Sims (west spawning team). The problem from my perspective was that that other team had TWO Atlantas, and there was no way in hell I was going to go into B cap to get massacred by not one but TWO Atlantas. I had a team mate complain that it was my job to scout, to which I replied that my job wasn't to commit suicide, which IMO was exactly what would have happened if I'd gone into B. B cap is as damned death trap that you can't easily get out of, but can easily find yourself trapped in with no way out. I don't mind too terribly engaging enemy DDs in a brawl when in a US DD like the Sims when I can limit the number of other enemy ships in the general vicinity. But I'll be damned if I'm going to go into a damned shooting gallery like B cap on this map when the enemy has (at least) two super-strong anti-DD assassins like the Atlanta that are quite likely to be in the vicinity. To be honest, this is not one of my favorite maps because of the nature of B cap. Sure, the tweaks to the map have generally improved it. But B cap remains a death trap for DDs if there's a fair amount of radar and some high RoF cruisers on the enemy team. Regarding the above minimap, that's just a stupid team. 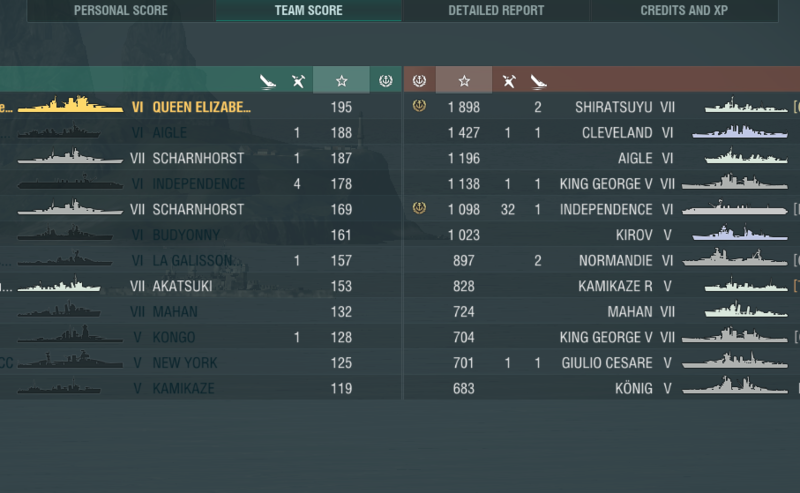 That team's DDs were able to get control of B so there was no freaking reason for so many heavies to go to A. And as much as I don't really like going into B cap, there's no good reason not to work around the outskirts of B cap, like at the corners of the islands around E3/4 and E5. Those are solid places for supporting cruisers to position themselves to assist their teammates in B cap. This has been my experience with high tier gameplay. It's not fun for either team, hence why I don't enjoy high tiers at all. You've got to tell them that when they delete the Atlantas, you'll go in there. If they do their job (suppressing enemy fire) you can do yours. BB drivers tend to not think that suppressing people is their job though. To be fair, the map is named “TRAP” Anyone who charges into B had fair warning before the match even loaded, yet you still see B-cap yoloers regularly. I agree, the Asashio causes more camping of BBs - that DD is awful for the game. Especially in ranked where the course of battle is pretty predictable. There must be other ways to mitigate BB numbers as this only makes BBs behave badly (camp at the back). 1) Hopefully continue to push map tutorials and use the new 'pop up on launch' features to better disseminate them. 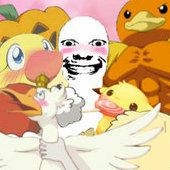 We have to remember that only a minority of players visit the forums.